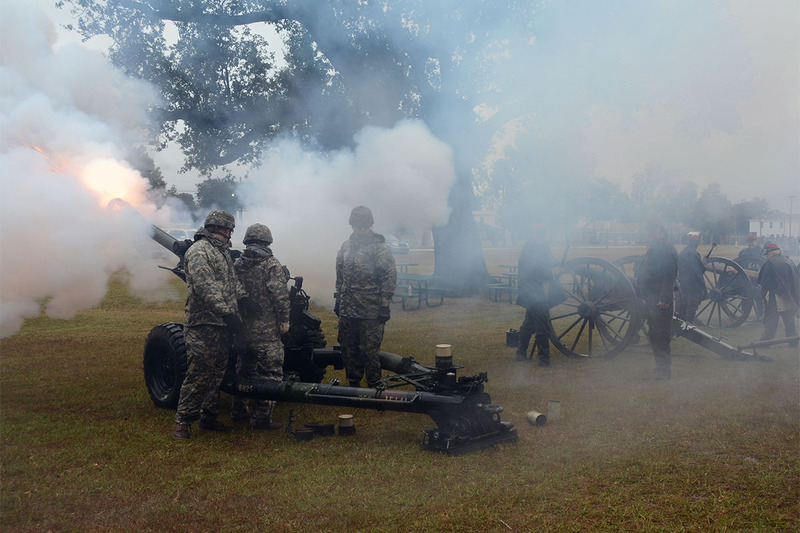 NEW ORLEANS – The Louisiana National Guard’s 1st Battalion, 141st Field Artillery Regiment, 256th Infantry Brigade Combat Team, also known as the Washington Artillery, held its annual memorial wreath-laying ceremony at Lake Lawn Metairie Cemetery, Oct. 24, and its 177th annual Pass-in-Review ceremony at the battalion’s armory at Jackson Barracks, Oct. 25. 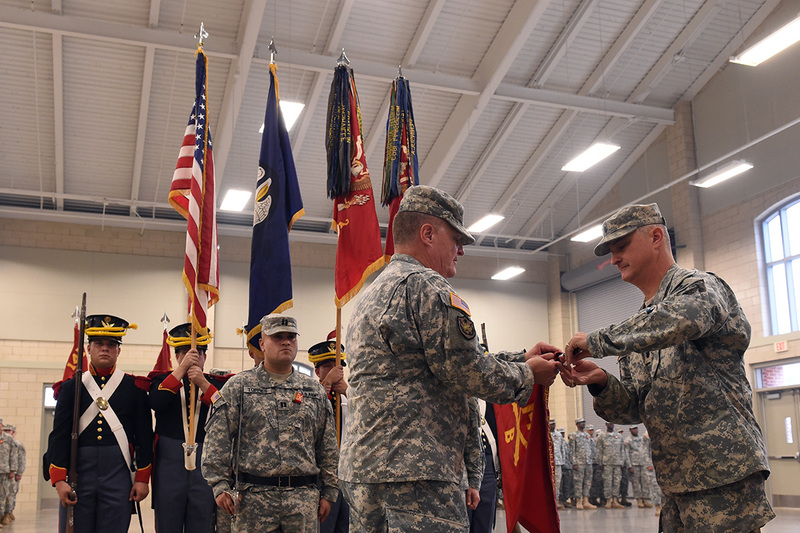 These two traditional events reflect the long and decorated history of the 1-141st. 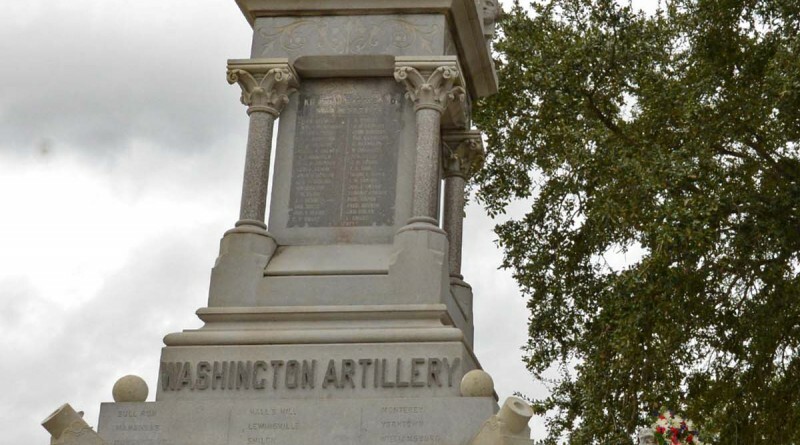 The Washington Artillery Veterans Association (WAVA) began holding the wreath-laying ceremony in 1965 to honor the unit’s heritage and its fallen Soldiers. 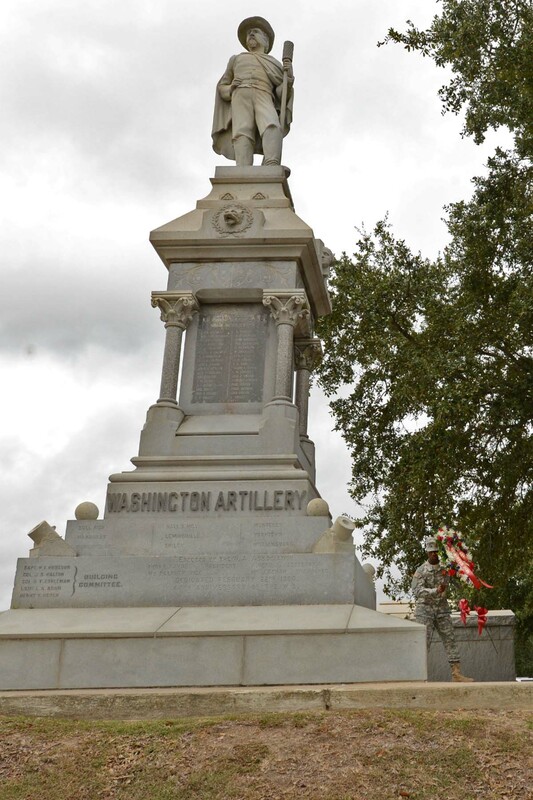 Lt. Col. Kenneth T. Baillie, commander of the 1-141st, stood in front of his battalion and conveyed the significance of their presence at the memorial statue. 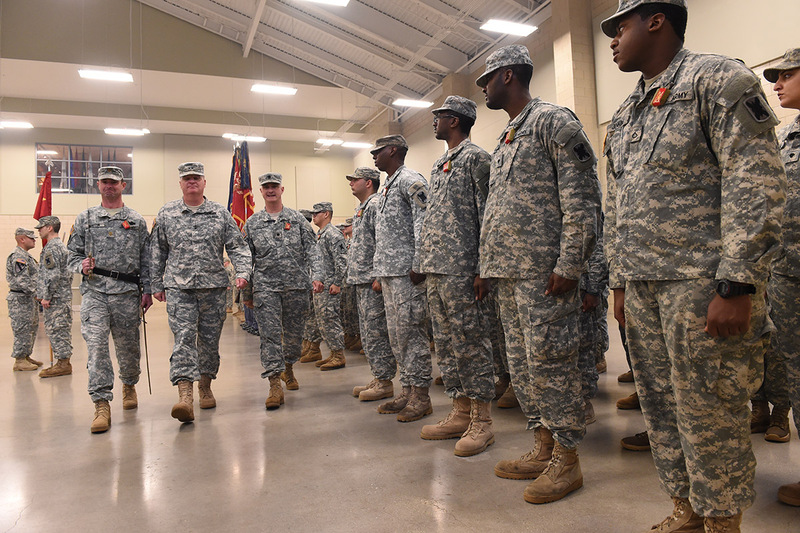 The following day, Guardsmen of the 1-141st participated in the battalion’s 177th Pass-in-Review ceremony. The pass-in-review dates from the earliest time in military history and demonstrates the glory and strength of the assembled Troops who march in formation before their military leaders. The LANG’s 156th Army Band played in the arrival of the official party, consisting of Maj. Gen. Glenn H. Curtis, adjutant general of the LANG; Col. Damian K. Waddell, commander of the 256th IBCT and Baillie. 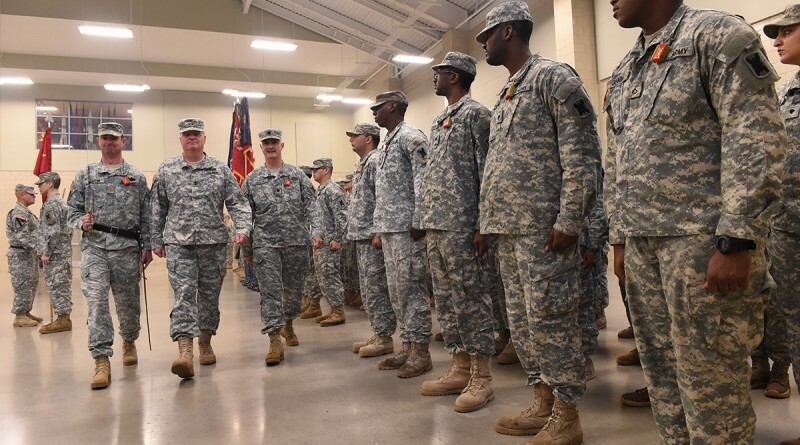 In his remarks, Curtis commended the 256th on the accomplishments they achieved during the year, and also announced the 1-141st was ranked number one out of the 33 field artillery battalions in the U.S. Army National Guard. “To the Soldiers standing before me, thank you for what you do, and thank you for being such a great unit,” Curtis told the battalion. 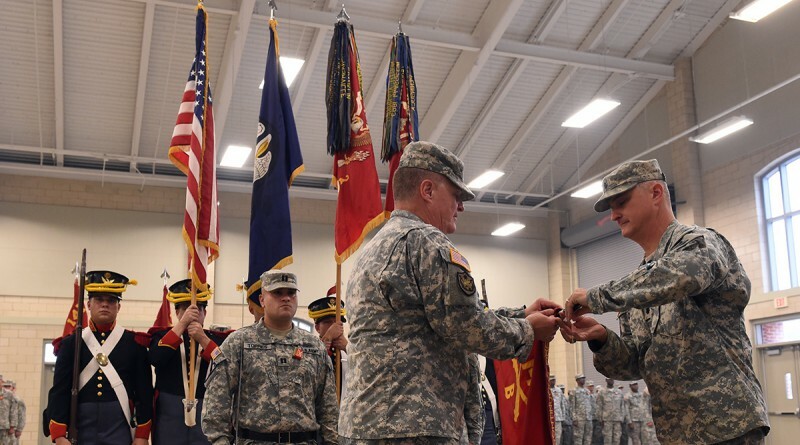 During the ceremony, various Soldier and unit awards were given to the top performers from the battalion. Pvt. Lane R. Bertheaud, of Headquarters and Headquarters Battery, received the Col. Numa P. Avendano Memorial Award for being named the outstanding enlisted Soldier of the year. Sgt. Marcus L. Galloway, of B Battery, received the Lt. Col. Edward P. Benezach Sr. Memorial Award for being named the noncommissioned officer of the year. Following the individual awards, the best-performing units were awarded streamers to attach to their colors. 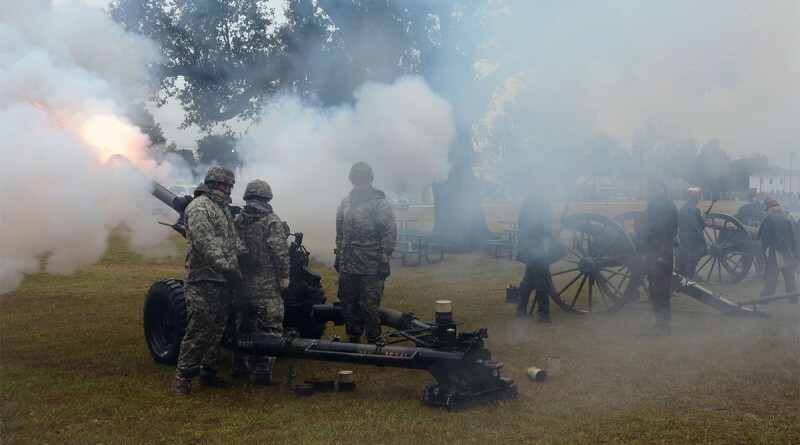 B Battery was awarded the “Continuous Fire” streamer for being the best firing battery of the year, while G Company, 199th Brigade Support Battalion received the “Try Us” streamer for superior overall unit performance. In his remarks, Baillie conveyed his thoughts on how honored he feels to be a part of such a celebrated unit. Baillie also expressed his gratitude to the Soldiers, their families and the members of WAVA for their continued support. In conclusion of his remarks, Baillie spoke of the hope he has for the future of the 1-141st. 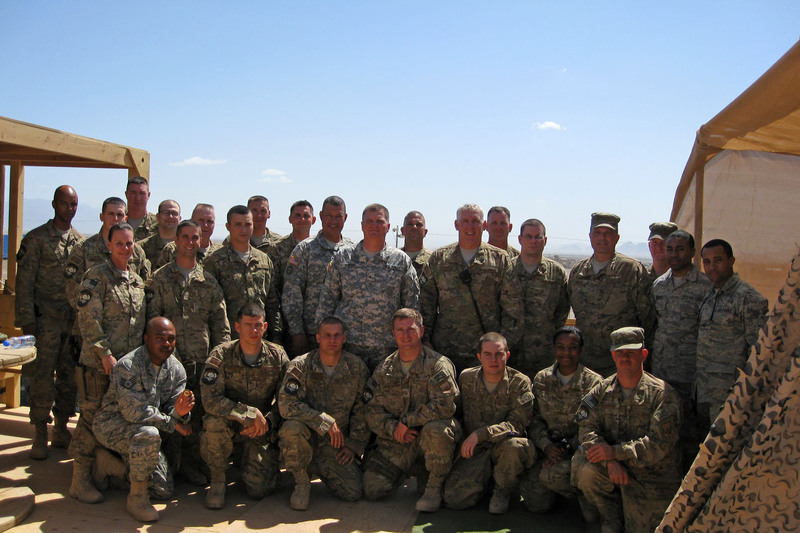 The 1-141st is the oldest unit in the LANG and the oldest field artillery battalion outside of the original 13 colonies. It has a storied history in the state from its involvement in emergency operations, such as Hurricanes Katrina and Rita, to its involvement in the Civil War and recent deployments to Iraq in support of Operations Iraqi Freedom and New Dawn.